Ticketed events can be purchased for more than one individual. The other events will require individuals to register online with name and email address. Individual registration is required to attend one of our FREE workshops. 1. Spiritual Renewal: it starts with you! For all Candidates AND those interested in exploring ministry opportunities in The Salvation Army. Please join for a special time of Meet and Greet, testimonies and interaction with Cadets and Salvation Army Leaders, and share in some refreshments. I understand that I may be photographed while attending the events of BC Congress + Commissioning 2019. I understand that these photographs may be used by the Salvation Army, either in print or on the Internet. 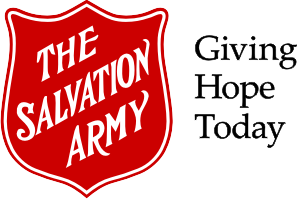 I hereby authorize The Governing Council of The Salvation Army in Canada, The Salvation Army Canada and Bermuda Territory and all associated and related charities to use photographs, video, and/or audio recordings of myself at these events for any and all marketing, public relations and promotional purposes, whether it be through the use of electronic media and/or other forms of communication. Furthermore, I hereby waive any right to claim compensation from The Salvation Army for any harm/loss/damage suffered as a result of any photograph, video and/or audio recordings of myself being used as mentioned above. A ticket will be emailed to the attendee after purchase and will need to be presented onsite for the paid sessions. If you have any questions, please contact Caroline Wilson at 604 299 3908 x 822 or [email protected]. If you need to cancel your registration, a [TBC amount] cancellation fee will be applied. After June 7, 2019 no refunds will be processed. You may transfer your registration to another person at any time without penalty provided you inform Agnes Wong by email.